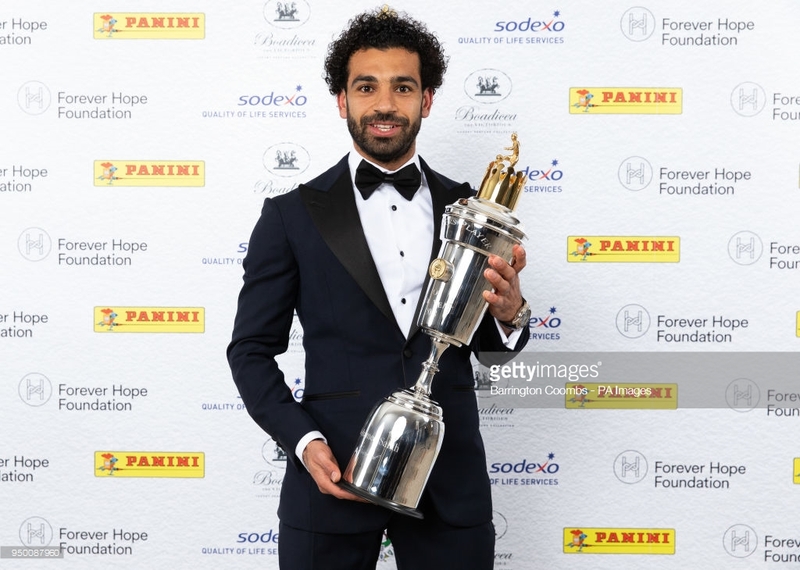 Liverpool's 41-goal forward has seen a stunning debut campaign at Anfield recognised by his peers, with the Egyptian fending off Man City's star. 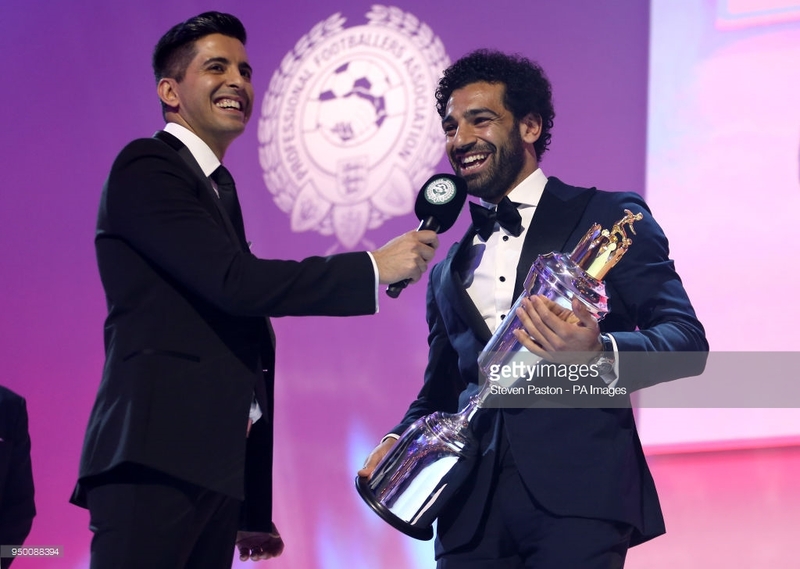 Egyptian International and Liverpool front Mohammed Salah has emerge PFA player of the year Award beaten his league mate Kevin De Bruyne of Manchester City to the acclaim...the award which was held at the Grosvenor hotel London saw the Liverpool smiling in his black suite while receiving his award. His manager Jugen Klop has congratulated him on his new achievement at the club. Pep also commented says Kevin De Bruyne deserves the award but Salah not a bad option as well.